Ground-breaking and universal, Stephen Covey's THE SEVEN HABITS OF HIGHLY EFFECTIVE PEOPLE has been one of the most popular motivational books of all time. Stephen's son, Sean Covey, then transformed this bestselling message into a life-changing book for young people and their parents. Being a teenager is fun but it's also challenging and stressful. Everything from planning what to wear to a party to dealing with an alcoholic friend can seem overwhelming and complex during the teenage years, but help is at hand. 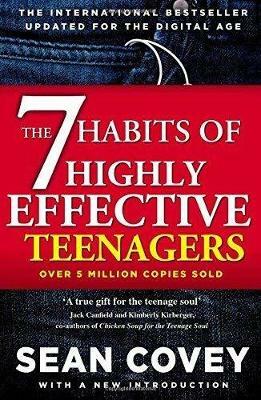 Entertaining, straight-talking and practical, THE SEVEN HABITS OF HIGHLY EFFECTIVE TEENAGERS will bring a special perspective and focus to the lives of young people everywhere. Sean Covey speaks directly to teenagers in a language they can really understand and relate to, addressing the issues that concern them most: relationships, parents, peers, life choices, concerns for the future, and even larger questions about life, death, and the human condition. This is an indispensable guide to making the teenage years happy and successful.